We are designing some great new spring gifts, and gardening themed gift baskets continue to be very popular for both spring and summer! Our Gardening Tote will thrill any gardening enthusiast. 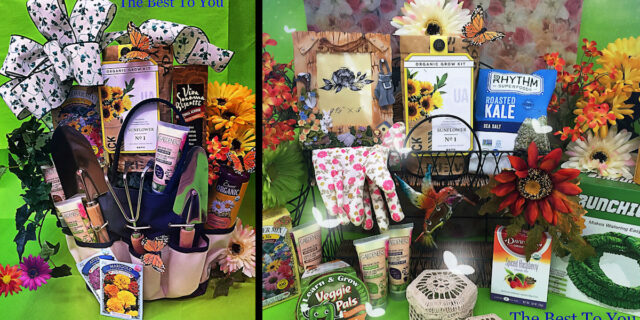 It includes silk flowers, three stainless steel gardening tools, garden gloves, flower seeds, silk flowers, sunflower seeds, tea, and snacks.